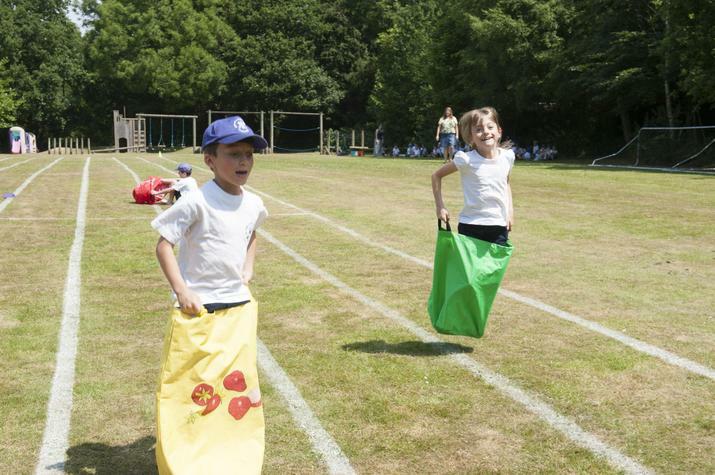 At St Peter and St Paul Infant School we believe that sport and P.E. improves a variety of skills and attitudes, health and well-being and can shape behaviours that lead to greater inclusion and cohesion. The children have 2 P.E lessons each week. A balance of dance, gymnastics and games are taught throughout the year. Year 1 and Reception go swimming for 6 afternoons in the spring and summer terms respectively. The children also have an hour long lunch break and 1 other playtime totalling 20 minutes. Since the 2012 London Olympic Games, the Government has committed £150 million pounds to the promotion of sport and fitness in schools. This is allocated to each school as Sports Premium Funding and is ring-fenced. Please click the links below for further information.